"Sieber has been breaking ground, bridging gaps and opening minds through music for decades....."
Electric cellist, vocalist & composer Jami Sieber is a celebrated pioneer of her instrument with an inspiring and fearless style of performance that has been recognized internationally. Sieber creates her own kind of world music, boasting immediate emotional impact and conveying a visionary presence that goes beyond the gorgeous melodies and tribal rhythms. Reaching inside the soul with compositions that are lush and powerfully evocative, her music transforms from the deepest stillness to moving melodies and rhythms that light the heart on fire. This sometimes ethereal, sometimes hard-edged musician has earned rave reviews throughout Europe, Asia, and North America. Employing looping devices and electronics to create sounds never before associated with the cello, Sieber transforms her solo instrument into an orchestra of sound that opens the heart, defies the mind, and sets the body dancing. Sieber's musical path moved from classical to folk to rock/pop where, within her popular band "Rumors of the Big Wave," she garnered the coveted Northwest Area Music Association (NAMA) Award for Best Rock Instrumentalist. From there she launched her solo career, performing original compositions around the world and diving into dynamic collaborations with an extraordinary spectrum of singer/songwriters (Ferron, Jennifer Berezan), dancers (Facing East Dance Co., Equus Projects, Llory Wilson), poets (Deena Metzger, Kim Rosen), visual artists (Colleen Kelley), improvisers (Rhiannon & Bowl Full of Sound), and instrumentalists that span the globe. 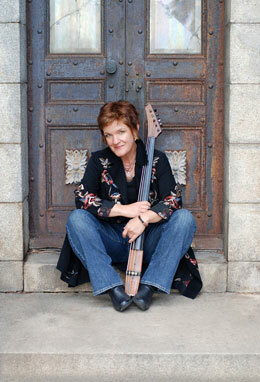 Joining her will be the incomparable multi-instrumentalist, Barbara Higbie and fiery percussionist, Michaelle Goerlitz. Don't miss this dynamic collaborative performance!